This new Pure Gold Classic leads the reader to Christ in whom all the fullness of the Godhead dwells bodily. (See Colossians 2:9). 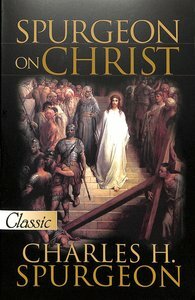 Charles Spurgeon loved to preach about the Savior, the Lord Jesus Christ, and this book puts forth his inspired words about Him: Christ crucified, Christ triumphant, Christ, our Passover, Christ exalted, Christ in the Covenant, Christ, the end of the Law, and Christ resurrected and our newness of life. About "Pgc: Spurgeon on Christ"